This article is courtesy of PRWeb and The Physician-Patient Alliance for Health & Safety (PPAHS). Please share your thoughts below….. The Physician-Patient Alliance for Health & Safety (PPAHS) released a podcast with Lisa Enslow, MSN, RN-BC on keeping pregnant mothers safe from blood clots. Preventing blood clots in pregnant mothers poses significant healthcare challenges. The risk of blood clots in pregnant mothers is almost ten times more likely than a non-pregnant woman. These patient safety risks increase for pregnant mothers who are obese. In the United States, more than two-thirds of adults are obese. Because of the increased risk of blood clots in pregnant mothers, the Physician-Patient Alliance for Health & Safety (PPAHS) released a podcast http://youtu.be/Um2BKewEWRg with Lisa Enslow, MSN, RN-BC. Ms. Enslow is the Nurse Educator for the Women’s Health and Ambulatory Care Services at Hartford Hospital in Hartford, Connecticut. In the podcast, Ms. Enslow discussed a case of a super morbidly obese pregnant mother. This mother had a BMI (body mass index) of 67. A BMI of 18.5 to 24.9 is considered normal. Four keys for managing the healthcare risk in obese pregnant mothers were identified during the podcast. The first key – plan for the delivery. The second key – apply blood clot preventative measures. The third key – preventing blood clots doesn’t stop when the mother leaves the hospital. The fourth key – use the OB VTE Safety Recommendations. * Provide the recommended prophylaxis regimen, depending on whether the mother is antepartum or postpartum. * Reassess the patient every 24 hours or upon the occurrence of a significant event, like surgery. * Ensure that the mother is provided appropriate VTE prevention education upon hospital discharge. “Caring for Mrs M. was significantly helped by the guidance from the recently released OB VTE Safety Recommendations, which offers a fine clinical process that covers the entire continuum of care,” said Ms. Enslow. The podcast was hosted by Pat Iyer, MSN, RN, LNCC. Ms. Iyer is a legal nurse consultant who provides education to healthcare providers about patient safety at http://www.patiyer.com. 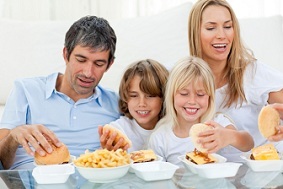 Fast food restaurants, burgers, and video games are taking precedence over home cooked meals, vegetables, and outdoor play time for kids of all ages. Instead of playing cricket and chasing after runaway footballs, kids are glued to video games and munching on junk food. 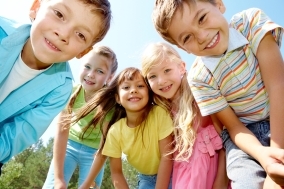 With a rise in obesity comes a rise in children’s diabetes as well as other health issues. This also has a financial impact with freedom and free charge activities of playing out, playing sport in the park and building rope swings being replaced by the expensive screens and great value healthy lunches being replaced with the local expensive fast food joint. Our little children are experiencing an epidemic that never should have occurred. So, in what ways can we encourage our children to keep active and eat the leafy greens and engage in the activities that they need to grow strong and healthy? Here are a few great ideas for both you and your children to try! The more you’re outside, enjoying the fresh air and drinking in the warm rays of the sun, the better chance both you and your children have at staying healthy. Worldwide we are losing this natural connection to the outdoors and nature Keeping active and staying in motion not only keeps the extra pounds off you and your children’s frames, but it also helps to keep your system running the way it should. 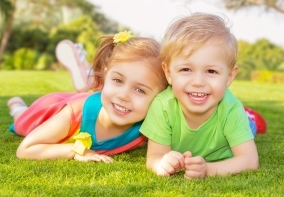 Encourage your children to play at least one to two hours a day outside. If at all possible, go outside with them, throw the ball around, build a fort, or let them help you wash your car. Any outdoor activities done together as a family will not only make it fun, but will keep all of you active. You could also enroll your children in extracurricular activities, such as sports like hockey, cricket, football, or even golf. There is no shortage in fun and active sports, so finding something your children like and enjoy should be easy. 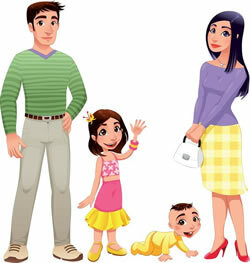 Whether or not you realise it, children follow the large footsteps of mum and dad. 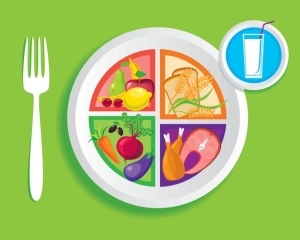 When you eat healthy, your children eat healthy, so make sure to load their dinner plates, as well as yours, with lots of veggies, good meats like lamb chops or mincemeat, and healthy sides. Make their breakfasts as filling and nutritious as possible, like porridge or granola If you pack your children’s lunches for school, fill their boxes with a healthy sandwich and a piece of fruit. Keeping your children interested on healthy food is a great way to make sure they are getting what they need and help keep your costs lower and healthy home mad food is always much better value. Make sure your little ones visit their pediatrician regularly to ensure that they’re not only growing properly, but that they receive the help, shots, and nutritional advice they need. An excellent pediatrician will not only help to give you tips and advice on healthy living for your children, but a good doctor and an excellent insurance will help to keep your children as healthy as possible. By covering your children with a high quality health insurance, you can rest easy knowing that your children will and can be seen by the best Doctors around. Finding a quality health insurance will help cover most of your doctor visits and medical expenses. If your child has diabetes, having insurance will help to cover the costs that come with the disease. In some countries people have access to medical services that are free (or cheap) at point of access. However, even people going between European Economic Area countries and who hold an EHIC card are only entitled to the service a national of that country gets – so it doesn’t replace insurance. In most countries, such as the US, an adequate level of health insurance in crucial, otherwise you could end up with very large bills or even not be able to be treated. There are even stories of people being turned away from some countries for not being insured. Travelling abroad to live will usually mean making sure that you have international health insurance to keep you covered for unexpected medical treatment or illness. For an idea of how much costs can vary for the uninsured, this recent infographic shows the often very high costs of operations worldwide. So make sure you are covered as this is a cost you never want to incur it great for your peace of mind to know your family and children are covered. Thank you to PRWeb for supplying this article….please share your thoughts in the comments section below…..
It’s that time of year again. Every January 1, millions of Americans make resolutions in an effort to make the upcoming year a success. Two of the most popular New Year’s resolutions—lose weight and work out more. After months of holiday feasting on seasonal desserts, bubbly cocktails and comfort-laden casseroles, losing weight and getting back in shape seems to be at the forefront of minds come the new year. But sticking to this goal as the year progresses can be a challenge, and oftentimes frustration, a setback or lack of immediate results can cause one to simply give up. According to Forbes.com, only 8 percent of Americans actually achieve their New Year’s resolutions when nearly 40 percent commit to making them. How do the 8 percent keep it up all year? In an effort to help with your New Year’s resolution or give a great gift to someone hoping to get into a new workout routine, Potomac Pilates is offering a limited-time offer TWO-month introductory package, on sale now through January 31. It is our goal to help you stick with your New Year’s fitness resolutions, so give the studio a call today or visit http://www.PotomacPilates.net and become the best version of you in 2015. Plus, be sure to check out Reebok FitHub Georgetown (1251 Wisconsin Avenue Northwest #3120a, Washington, DC 20007) for a free Pilates mat class on Sunday, January 11 at 10:30am. Happy New Year’s from Potomac Pilates! Thank you to PRWeb for supplying this article…..Please share your thoughts in the comments section…..
As the temperatures get colder this fall, it’s easy for kids to gravitate towards indoor and less active activities, it’s important to keep them moving, find out how. The times, they’re changing, and it’s becoming even more difficult to keep kids engaged, happy, and well out of our hair. This can be especially hard when the cooler temperatures of Autumn and Winter set in, driving kids and adults alike indoors. Many people have used their friends: television, computer, and tablet as a distraction for children when they need 30 minutes of peace. As parents, it’s not always easy, but are kids being exposed to too much technology? According to The American Academy of Pediatrics (AAP), children spend an average of 7 hours a day using media including television, computer, internet, video games, and cell phones. In an ever growing media driven world, it’s becoming even more important to make sure your child is getting active every day. So, how can children be encourage to get active? 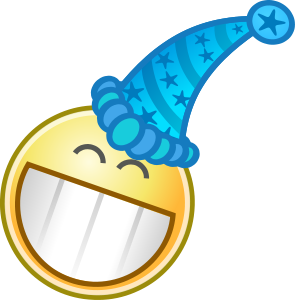 Show them that being active is fun. 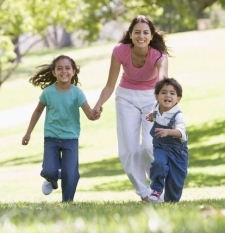 Exercise as a family by going for a nightly walk, jog, or having a family soccer game in the back yard. Getting children involved in activities outside of the home, (like The Little Gym) to help them appreciate a healthy and active lifestyle for years to come. Whether running, jumping, or tumbling, get moving with children to build the foundation for a lifetime of healthy habits. 1. Have you attempted more than two weight loss programs with no significant long-term results? ANSWER: If you answered YES, you may have undiscovered hormonal issues, toxicity problems and/or a sluggish metabolism not revealed by standard blood tests. 2. True or False: Metabolic rate is the only influence on weight loss? ANSWER: False: Nutritional deficiencies, mal-absorption and the RIGHT exercise plan are all potentially important. 3. What do the popular weight loss programs all have in common? ANSWER: They are not based on your metabolic rate, medications you might be taking that affect weight loss and metabolism, your particular dietary and nutritional needs and/or other health problems. 4. Which of the following are not considered meaningful exercise efforts for weight loss in the long-terms? ANSWER: D. If you currently are not satisfied with your weight, and you are “running around”, biking or doing the treadmill for 45 minutes, 3 days per week, and weight training 3-4 days, then ALL ARE INADEQUATE weight loss efforts! Proper exercise MUST ACTUALLY WORK, not just seem like it is appropriate. If you are exercising and not getting the results you want, individualization and “changing things up” is needed. 5. Which of the following are true regarding PERMANENT WEIGHT LOSS? b. Determining your nutritional imbalances through blood and/or urine or other evaluations? 1. True or False: Decreasing the intake of refined and processed sugar during childhood decreases the risk of chronic diseases later in life? ANSWER: True. Poor quality nutrition during childhood, particularly during the first ten years, sets the stage for developing cavities, fatigue, difficulty concentrating and headaches now, and chronic diseases such as heart disease, cancer, osteoporosis, and diabetes later in life. 2. True or False: Restriction of fats intake during childhood contributes to optimal growth and reduces the risk of obesity in adulthood? ANSWER: True and False. Saturated fats should not exceed 5% of the total diet; the remainder containing roughly equal amounts of mono- and polyunsaturated fats. Fats are needed for brain function and development, tissue growth, hormone production and disease protection. Best sources are mercury-free omega 3 oils from fish, flax, algae (high DHA) and unprocessed grains for omega 6 oils. 3. What minerals are often lacking in the diets of children and adolescents? ANSWER: B. Iron, calcium, zinc: low iron can contribute to learning disabilities, fatigue and “growing pains”; calcium is needed for bone growth, blood clotting and nervous system health; zinc is required for hinking, tissue repair and immunity. 4. Requirements for which vitamins peak during adolescent and teenage years? ANSWER: D. Requirements for B vitamins increase with increasing energy needs for growth and mental function. A diet containing a variety of fruits and vegetables should be consumed. Furthermore, a balanced supplement containing a mixture of these vitamins is important, especially for a child who eats poorly (i.e., juicing of fruits and/or vegetables with dehydrated powered supplements added for optimal nutrition). 5. Keeping your kids healthy consists of? ANSWER: E. All of the above. Spectrum Health’s Helen DeVos Children’s Hospital is thinking ahead to keep kids safe in the New Year. Jennifer Hoekstra, Injury Prevention program coordinator with Helen DeVos Children’s Hospital, has put together a list of the “Top 10” safety concerns that families should consider to keep their children safe. Once every three weeks, a child in the United States dies after being hit and hurt by a unsecured television set that tips over. Nearly 13,000 children are injured each year by falling TVs. Parents are urged to strap or bolt all TVs and heavy furniture to the wall to prevent them from tipping and falling. Bicycles are associated with more childhood injuries than any other consumer product except automobiles. Bicycle injuries jump significantly during the summer; the death rate jumps nearly 45 percent higher than the non-summer monthly average. A helmet is the single most effective safety device for reducing the severity of head injuries and the likelihood of death following a bicycle crash. In a recent report done by Safe Kids Worldwide, one in five high school students and one in eight middle school students were observed crossing the street distracted. Students were most often texting on a phone (39 percent) or using headphones (39 percent). Distraction while crossing the street is a serious problem that many parents don’t think about. The risk of drowning increases more in the summer than any other unintentional injury – 89 percent over the rest of the year – because more children are playing in pools and in open bodies of water. Drowning can happen so quickly. It is critical that parents actively supervise young children and those who do not swim well in every body of water. The results of placing a baby younger than one year in an unsafe sleeping environment can be deadly. Parents are encouraged to remember the “ABC’s” of safe sleep: babies should sleep alone (A) – no blankets, pillows, or other people – on their back (B) and in a crib (C) with a tight fitting sheet. Every parent knows to keep medicine up and away from children, but kids are still getting into medicine at an alarming rate with 500,000 calls to poison control centers last year alone. Medications are the leading cause of child poisoning. Every year, more than 67,000 children go to an emergency room for medicine poisoning. That’s one child every eight minutes. Each year in the United States, more than 2,800 kids are treated in emergency rooms after swallowing button batteries. That’s one child every three hours. The number of serious injuries or deaths as a result of button batteries has increased ninefold in the last decade. Keep coin lithium battery-controlled devices out of sight and reach of children. Remote controls, singing greeting cards, digital scales, watches, hearing aids, thermometers, children’s toys, calculators, key fobs, tealight candles, flashing holiday jewelry and decorations all contain button batteries. Many coaches and parents don’t understand how much rest young athletes need from sports, how much water kids should drink during sports/play or the signs of a concussion. Sports injuries make up 20 percent of all injury-related emergency department visits for children ages 6-19. Last year, 163,670 children were seen in emergency departments for sports-related concussions – that’s one child every three minutes. Properly used, child safety seats decrease the risk of death by 71 percent for infants and 54 percent for toddlers. It is very important for parents to take time to read both the instructions for their child’s car seat and for their vehicles in order to use the child’s car seat properly. Other issues surrounding children who are in and around the vehicle are also big risks for kids. Parents are reminded to never leave their children alone in the vehicle and never allow kids to play in the trunk of the car. Unintentional falls are the leading cause of non-fatal injuries for children in the United States. In 2010, unintentional falls resulted in nearly 3 million injuries requiring treatment in an emergency room. These injuries resulted from activities such as climbing on furniture, playing near an unsecured window, falling down stairs or playing on playgrounds. – For more information about the Safe Kids program at Helen DeVos Children’s Hospital, visit www.helendevoschildrens.org/injuryprevention. – Spectrum Health is a not-for-profit health system, based in West Michigan, offering a full continuum of care through the Spectrum Health Hospital Group, which is comprised of 11 hospitals including Helen DeVos Children’s Hospital; 173 ambulatory and service sites; 960 advanced practice providers and employed physicians including members of the Spectrum Health Medical Group and West Michigan Heart physician groups; and Priority Health, a health plan. Spectrum Health is West Michigan’s largest employer with 20,800 employees. The organization provided $250 million in community benefit during its 2013 fiscal year. The temptations and treats of the holidays can have a significant impact on the entire family’s waistline. From cookies and candies to large meals and sugar-filled punch, holiday celebrations often focus on food and encourage overeating. According to Rania Batayneh, nutritionist and founder of Essential Nutrition For You, a nutrition consulting firm, the average person gains five to seven pounds over the holidays. Don’t let the joy of the season leave you feeling bloated and lacking energy while your children battle upset stomachs. Instead, practice mindful eating and utilize these tips to keep you eating healthy during the joyous season. Instead of waiting for the main course, fill up on veggies and fruits in the early morning hours so your appetite will not be in rare form when the holiday platters are set in front of you. When the holidays arrive, try not to slack on your daily workouts. Encourage the entire family to take a walk or run early in the morning to decrease your appetite and provide you with the energy to get through the day of celebrations. Think about taking a post-dinner walk, too, suggests Batayneh. “This can even happen after the meal and before dessert,” she says. Many gyms offer morning workouts or boot camps on holiday mornings to help you burn calories before the big meal. Between the stuffing, bread rolls and mashed potatoes, this meal is a carbohydrate-lovers dream, but not your waistlines, says Batayneh. Don’t overdo it by adding too much carb-filled alcohol to the mix. “Limit the portions of the above foods to make room for your glass of wine and to keep your blood sugar more stable,” she says. Try opting for lower calorie non-alcoholic drinks or mixing sparkling water with wine for a wine spritzer to keep your figure in shape. To curb your appetite, stock up on water before the big meal. According to Dr. Elizabeth Lombardo, a clinical psychologist, physical therapist and author of A Happy You: Your Ultimate Prescription for Happiness, dehydration is often misinterpreted as hunger, and people end up eating more as a result. Beyond dehydration, there are other factors that can encourage weight gain during the holidays. “Sleep deprivation and stress are two key variables often present during the holidays that put on weight,” says Lombardo. Encourage the entire family to go to bed early the night before a big celebration and minimize the stressors that cause anxiety during the holidays. Although it may seem contradictory to eat more when you’re trying to stay healthy, consuming smaller, regular meals can help you to eat less. Lombardo suggests eating healthy meals and snacks leading up to the big meal so you are not feeling starved when inhibitions are not as strong. – Submitted by Ethel Wooten of Houston Nanny. There are many lessons which a person can learn from his or her elders. Among the things which you can learn about include whether you might be at risk of suffering from heart ailments, high blood pressure, cancer and obesity among others. People whose family members suffer from chronic ailments have higher risks of developing the same conditions. Many reputable family health care’s professionals ask their patients questions regarding their parents. Among the questions which they want to know include whether there is a history of high blood pressure, heart disease and diabetes in the family. If it’s found out that there was someone in the family lineage that has a certain ailment, then it’s important to start looking out for these cases in patients who have an early age of 40 or 50 years. Most families share both genes and lifestyles which are key factors that determine the risk factors for chronic ailments. It’s advisable that families compile a comprehensive family history which could be used as a tool for understanding possible ailments that could affect the family hence making it possible to put in place the right preventive factors for managing the risks. With accurate information made available to walk in urgent care, proper care can be offered. 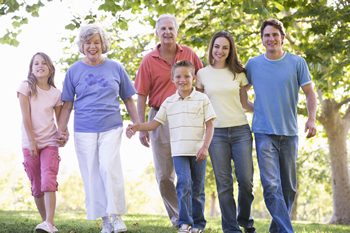 While coming up with family profiles, it’s imperative to list up to three generations of the family, all biological relative, their ages, diagnosis and the cause of their deaths. Start with your grandparents and work your way through your parents and siblings. This may at times seem to be a huge task, but it’s all worth the time and effort. Many doctors make it a habit to educate the general public about the importance of this exercise as it really helps both the concerned persons and doctors to know where to check for when offering preventive care. There are quite a number of web based tools which can be used to come up with a detailed view of a family lineage in the easiest way possible. The online system can assist you develop a family tree and the users can download the information to their computers. Moreover, the website they use don’t share their information. Moreover, the users have the freedom to share their family history with other members and also print out a report for physicians and other healthcare providers. However, parents of adopted children could find it harder collecting information about their children because the information which is provided is limited. This means that getting correct and accurate history from the birth family is indeed a hard task. At times, these people may have mental issues and you will be at a loss knowing what their medical history is. By the time you will be putting the information you need together, you will have done a lot of digging. But while collecting this kind of information, you should make sure that you avoid any possible mistakes as this may make it harder for you to achieve the purpose of collecting the information. – This post is created by Dana Smith. She is currently associated with Family Health Care in Wasilla. In this post she is sharing the tips how keeping the history of health records of a family member helps in future.